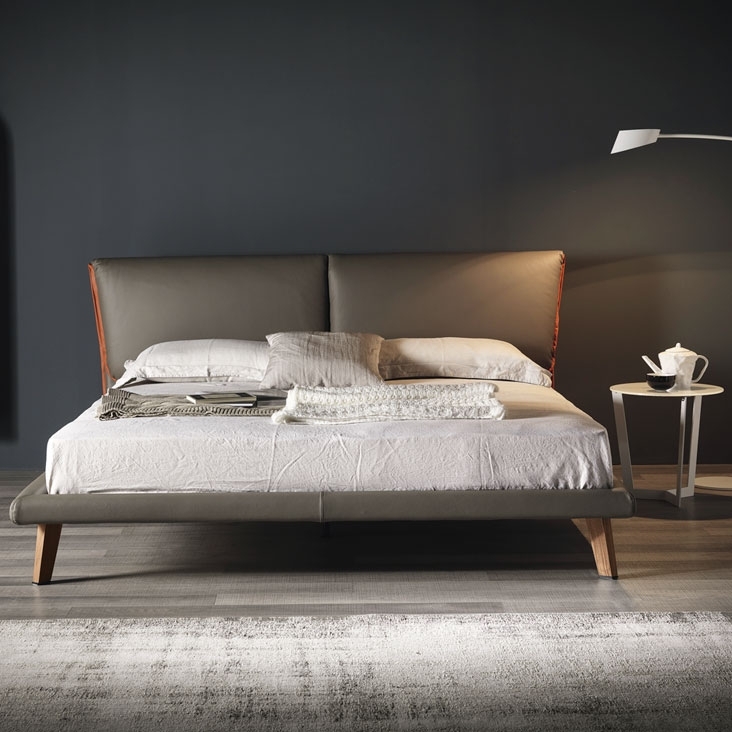 Adam, made by Catellan Italia, by the designer Gino Corallo, is a double bed, presenting with a modern and elegant design. 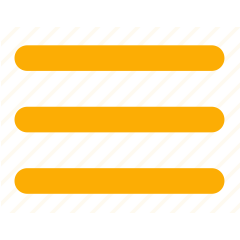 It is fully covered with leather or ecological leather and is available in several colours. The head is covered with leather with colour-contrast or colour-combined contours, made under request in different finishes: white, black, red or orange. The bed is risen from the floor by the fine walnut Canaletto or burnt oak small legs. 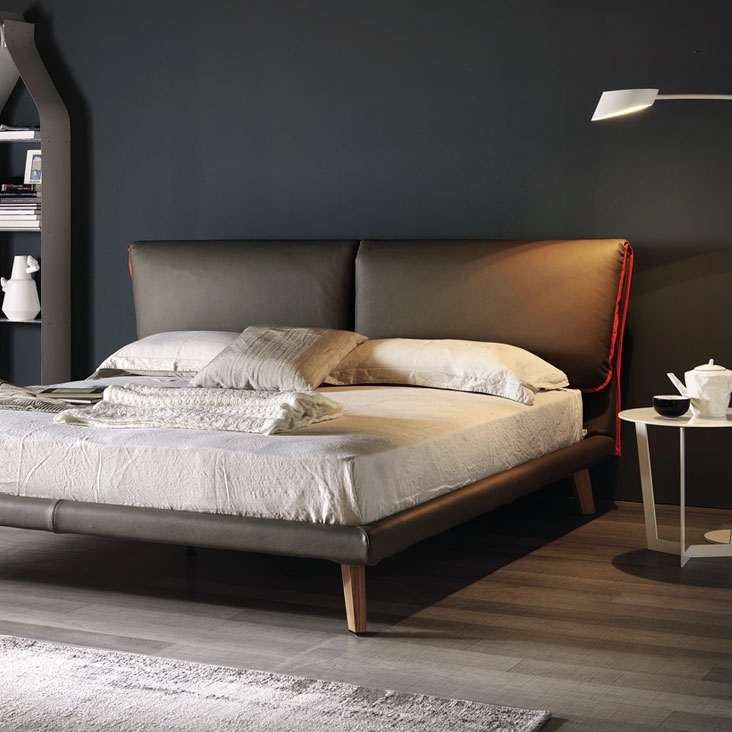 Thanks to its simple lines and to its informal character the bed Adam fits perfectly to each your bedroom. Colour-combined or under request in red corsa 989 o lobster 992 leather.